Over the past few weeks GLL supported athlete Ethan Rose has been competing at the highest level Internationally at two Dutch Masters events and the Glasgow International. Playing at U15 level, two years above his age in Holland he competed against a strong field with players coming from various nations including, Germany, Russia, France, Belgium and Holland. In the first event Ethan fought his way to the last eight losing out to a strong opponent 21-18 in the third set but this held him good stead for the second event where he gained a silver medal beating the no.1 seed along the way. It was then onto the final event of the season for Ethan, the Glasgow Youth International. This time playing in his own age category, Ethan secured 3 medals, Silver in the team event, bronze in the singles and an unexpected but well deserved bronze in the boys doubles where he and his new partner beat some top class opponents. The highlight being a boys doubles match against the French No.1 pair where Ethan and his partner saved four match points in the second set before going on to win the match 21-19 in the third set which secured them their bronze medal. Now with a two week break Ethan will have a chance to enjoy his efforts before embarking on a tough 12 week summer programme leading up to the first tournament of the season in August in Ireland. Going forward Ethan would like to continue competing in Europe and have an impact on the U15 age group both here in the UK and abroad. Ethan would like to improve his ranking and continue to be part of the England Squad which he is currently in. 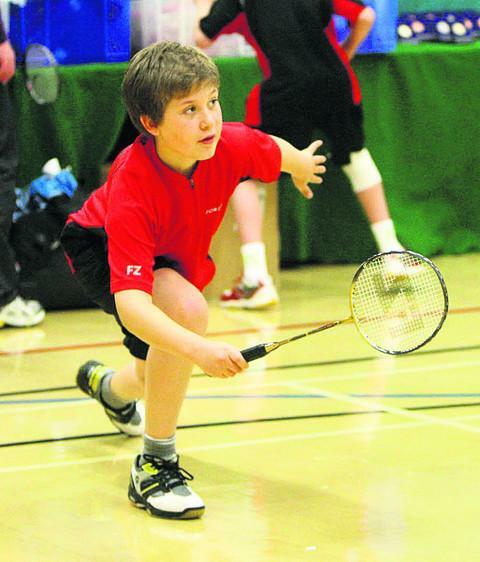 Ethan is supported by the GLL Sport Foundation in partnership with South Oxfordshire District Council. The award from the GLL Sport Foundation helps towards the cost of training and competing abroad to give Ethan the best possible competition.